"Naked Darrow," a one-man play by nationally renowned Darrow portrayer Gary L. Anderson, is coming to Loucks Auditorium at the Salem Library This recent NYC Off-Broadway production is produced by the Oregonians for Alternatives to the Death Penalty (OADP) and the Clarence Darrow Foundation. Naked Darrow is a provocative look at our most hated and revered attorney, Clarence Darrow, as his great mind slips away. The performance will take place at 6:30 PM on Wednesday, November 15th. Read more about Important News: Sister Helen Prejean October 13th Lake Oswego Event Cancelled! On Monday, January 16th, Washington’s Attorney General Bob Ferguson will call for legislation to end the state’s death penalty. He, along with former Washington A.G. Rob McKenna, will ascend the state Capitol steps in Olympia to ask the members of the legislature to turn the current death penalty moratorium into a permanent change in the law. Repeal of the death penalty makes permanent in Washington would add to a growing discontent with the death penalty, by repealing the law as a failed public policy. 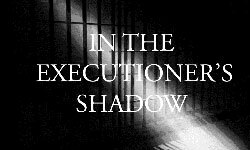 Read more about OADP joins the call for commutation of death row.